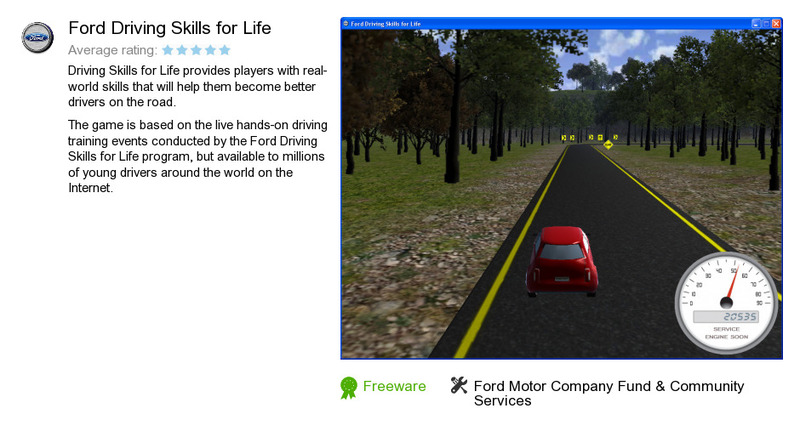 Ford Driving Skills for Life is an application developed by Ford Motor Company Fund & Community Services. We know of version 1.0. Version 1.0 is available for download at our site. Ford Driving Skills for Life package has a size of 65,850,051 bytes.